Mobile phone penetration has changed our world forever, and that's due to the staggering versatility and real computing power of the medium. Enter PicsArt. A two-year-old company who quickly topped the Google Play chart for image editing apps. I spoke to their team recently about how they did it. Mobile phone penetration has changed our world forever, and that's due to the staggering versatility and real computing power of the medium. While some industries are just now coming to terms with this, as we saw in my previous interview with Figure 1, other companies are refining and improving apps which we use every day as a part of self-expression. Enter PicsArt. A two-year-old company who quickly topped the Google Play chart for image editing apps. I spoke to their team recently about how they did it. Karen: Can you give us a little background on how PicsArt came to be? PicsArt team: In the beginning we created single focused applications, such as a separate camera app and a separate effects app. Based on communication with our users we found that user experience would be enhanced if they didn't have to switch from one app to another to complete complex editing tasks. Also, we saw that there was no app in the market that provided a robust feature-set to support complex image editing. So, we combined our single focused apps into one app and called it PicsArt Photo Studio. At that time it was a hard decision because there were no such examples in market and we had no idea if our users would love it or leave it. This decision was also against the common stereotype that mobile apps should be simple to create a common user experience on mobile devices. Karen: How long did it take your team to have the first version up? PicsArt team: In the beginning we were a small team and although we had the proper knowledge and experience, it took almost 6 months for us to release our first version. Karen: What kind of promotion did you do to get your first users? PicsArt team: We didn't do any promotion. PicsArt was released in early November 2011 and it gained user attention from the very beginning. 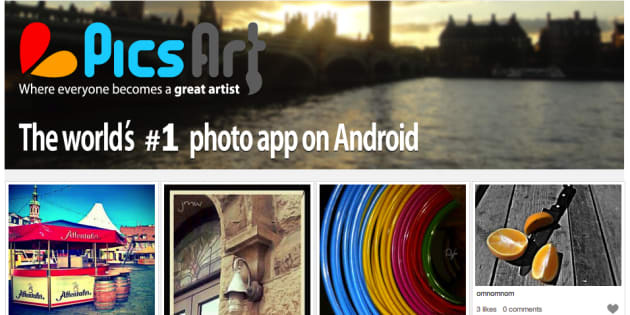 In the beginning of January 2012 it was already the number one app in the photography category among free apps in Google Play. PicsArt over-performed and exceeded our expectations and we continue to focus all our energy to continuously make it even better. Karen: Did you follow the lean principles as you built your product, and your company? PicsArt team: Not formally, but our activities were mostly aligned with those principles. Karen: What was the biggest surprise early on? PicsArt team: The entire process of building PicsArt is full of fun and surprises. Our biggest surprise was the fact that our users not only loved the unusual amount of functionality that we packed into one app, but that they also actively asked for more--and still do! Karen: Did you self-fund? Describe how you came to that choice. PicsArt team: We are a bootstrapped startup company. We started off as a small team and we were profitable from the very beginning. Karen: When did you know you had achieved success in those early stages? PicsArt team: It's hard to pinpoint a specific timeframe, but one of the clear signs of success was seeing the active involvement of our users in truly shaping PicsArt. Karen: In a world with millions of photo-editing apps, how did you effectively differentiate? PicsArt team: By providing one of the most advanced photo-editing and drawing features in mobile while also delivering an interest-based social network and true art community. PicsArt is uniquely positioned between professional desktop tools like Photoshop and memory-based sharing apps like Instagram. And its features attract a specialized - yet quickly growing - group of people who want to spend time in the app discovering new ways in which they can hone their creative skills and make works of art. In fact, we just hit a significant milestone of 6 million registered users who are doing remarkable things with PicsArt. They are enhancing images in a way that was once only possible with desktop design tools and they're creating drawings from scratch that most couldn't create with actual pencil and paper. PicsArt is a true community of artists. PicsArt is also unique because of its extended freedom of choice. Within every effect and functionality you can find even more options, which tunes that functionality uniquely for you. Freedom of choice also spreads to sharing. 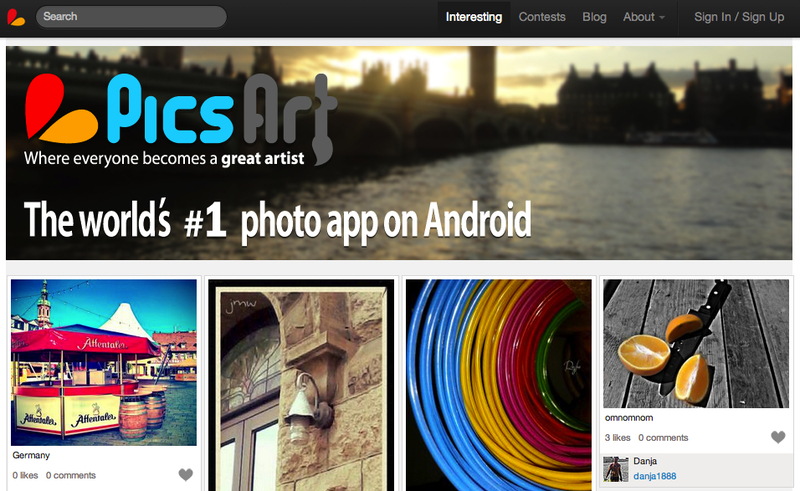 While PicsArt has its own social network, it also supports most of the popular photo and social networks. But you don't have to share every photo if you don't want to, which is a significant differentiator from other apps. If you choose, you can use all the power of PicsArt's advanced editing features and simply save your images to your mobile device. Karen: What has been the biggest lesson you've learned? PicsArt team: Never postpone releasing a new feature because you are not sure how your users will respond. Instead, release features to your users and let them tell you whether you should keep them or go back to the drawing board. Today's users are smart, they're vocal and if you deliver on your promise to continuously improve for them, they'll always stand by you. Karen: What's your advice for new entrepreneurs out there who think they have an idea which will sell? PicsArt team: If you have an idea, don't spend too much time thinking about how to sell it, give that idea to prospective users or customers. They will be honest with you on whether they'd buy it or not and how you should evolve it--every hour counts.